A particle is trapped in an infinite one-dimensional well of width 0.132nm. The electron is in the n=10 state. 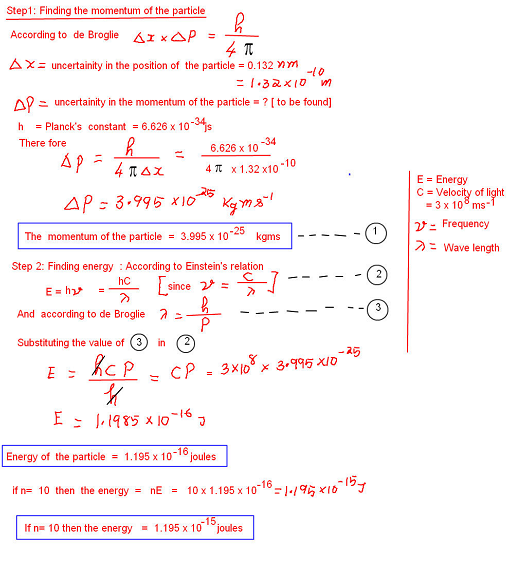 A) What is energy of the electron? B) What is the uncertainty in its momentum? This entry was posted on Friday, July 23rd, 2010 at 5:13 am and is filed under 12th Grade, Homework Answers, Physics Answers. You can follow any responses to this entry through the RSS 2.0 feed. You can leave a response, or trackback from your own site.